Let’s call it maturity — the part where I am able to settle for only five products when, before, I would have made a cake out of my base. Well, my skin is bad again. I think it’s the worst it’s ever been. But unlike before, I find myself holding back on putting a lot of products to cover the blemishes. Lately, I’ve been sticking to basics. And I’m quite certain this will be my beauty uniform even when my skin’s back to its clear state. I don’t have the energy to go on the hunt for a new face base. The Maybelline Super BB Cream and iWhite BBHolic BB Cream have served me well so I might pick a tube of either when I decide to wear a face base again. Or maybe I could try my luck with a cushion foundation again. I’m still unsure, so I’m going to keep at what I’m currently doing, which is just spot-concealing. 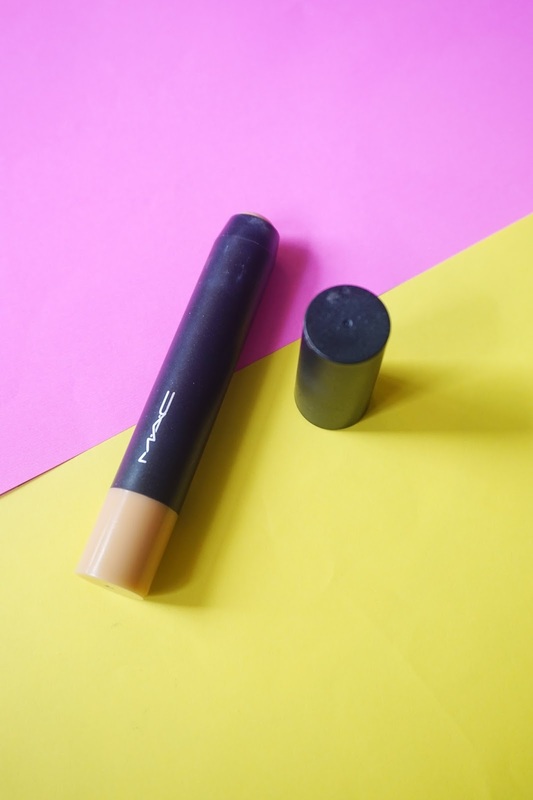 I use the MAC Studio Fix Perfecting Stick in NC30* for pimples. Thank the universe, my pimples are not inflamed. If you weren’t too close to me, you might not even notice they’re there. But there are a few ones that look angry, and I make sure they don’t get to show their wrath for long. I also use the concealer for under my eyes. The lash girl in me is strong. I still think lashes curled up to the heavens are the most brightening part of a face. I’m done with the Maybelline The Falsies Push Up Drama now cos it’s already past its prime. 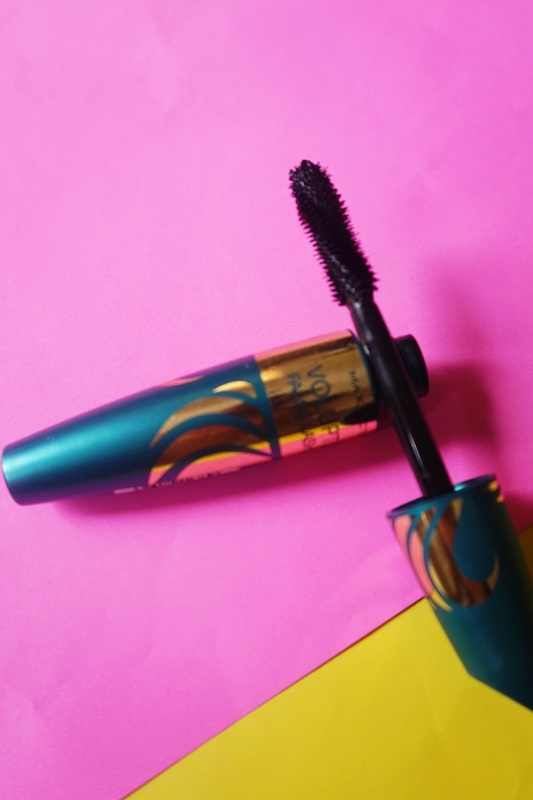 I’m still testing the Max Factor False Voluptuous False Lash Effect mascara*, so I can’t say what I think of it yet but so far it’s been doing a good job. I still haven’t converted into a kilay-is-lifer, but I do admit that well-groomed brows make a mountain of difference when it comes to an overall look. So for times when I need to look presentable, I make sure that my eyebrows are filled in and the hairs are not going every which way. 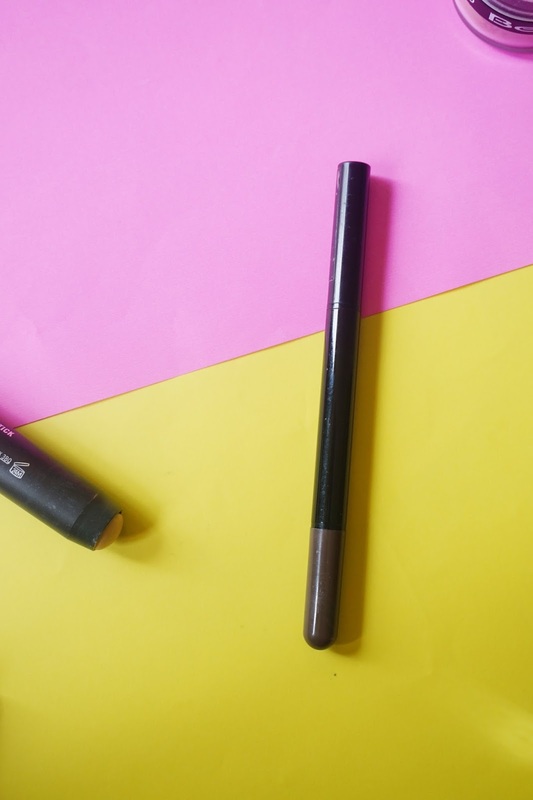 I’m still using the Maybelline Fashion Brow Duo Shaper, but the twisting mechanism is broken. I’m taking suggestions for a new brow product! A little color never hurt anybody. And I like color on my cheeks, especially. It’s great for giving a bit of life to your face, which would have looked flat without it. 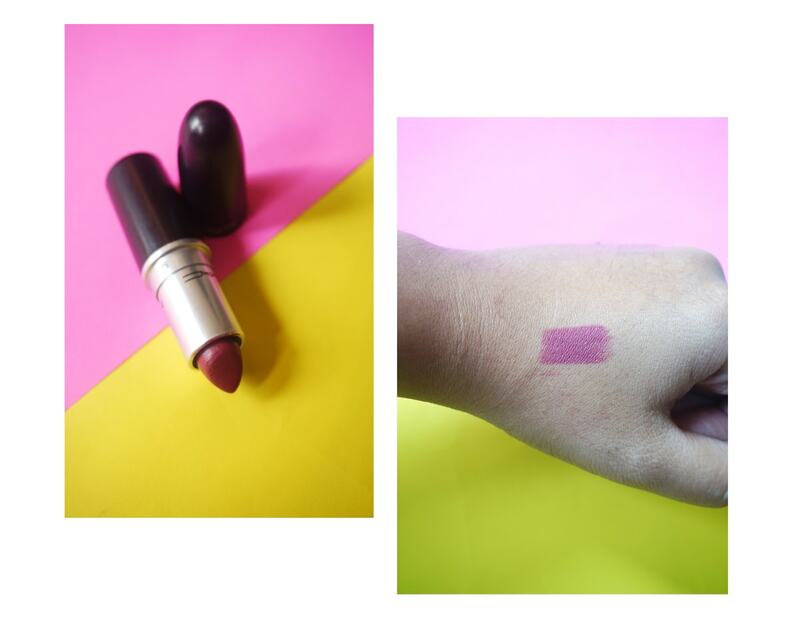 My favorite is still MAC Warm Soul, but I know I need to throw it away already because it’s way past its peak. (Here’s how I know.) 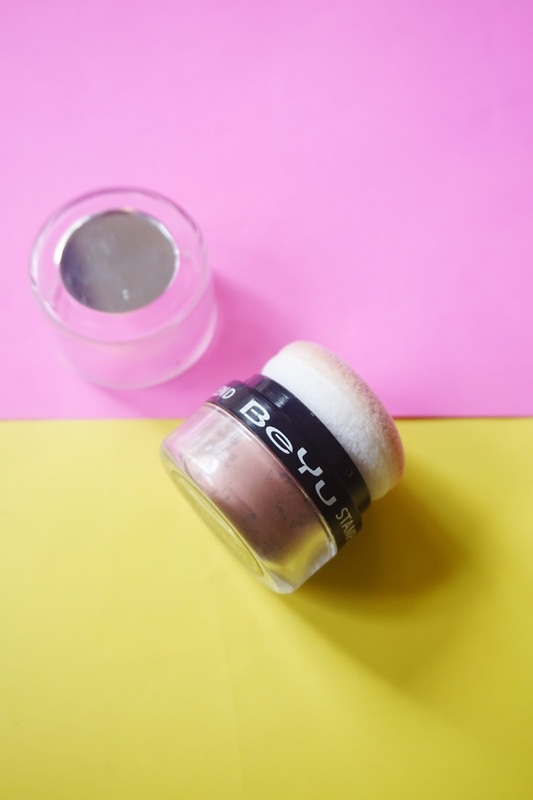 I’m currently using the BeYu Stamp and Blend Blush*. The idea behind the product seemed cool at first but after a while, it became difficult to control the product. So I go extremely light-handed when stamping it on my cheeks and just blend away as much as I can. 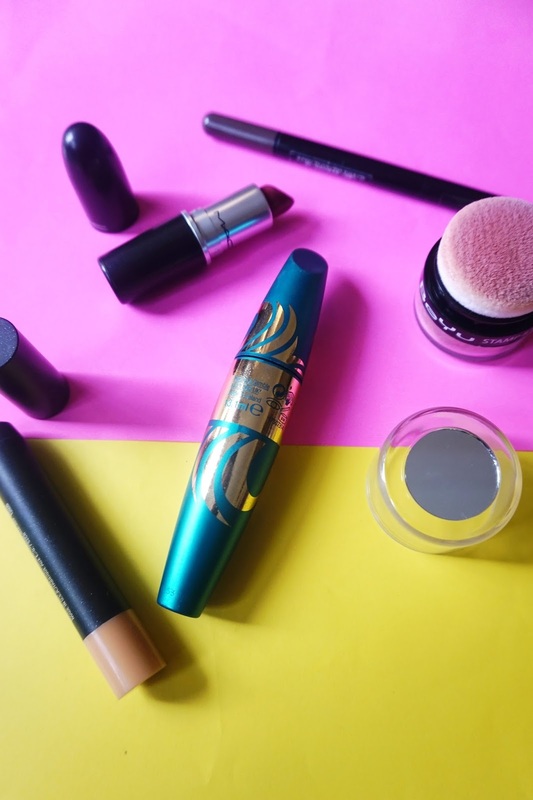 No look is complete without a lipstick! I’ve grown a bit tired of liquid lipsticks, so I’m going back to ones that come in tubes. My current favorite is MAC Captive (gifted by my husband’s cousin). It’s a cool plum with a satin finish. It’s not exactly an MLBB color, but it brightens up my face. I would put a photo of myself wearing these products, but I’m still quite a bit self-conscious. Ha. But I’m curious: what will you pick up if you only had five products to use? *The product was sent to me for PR purposes.